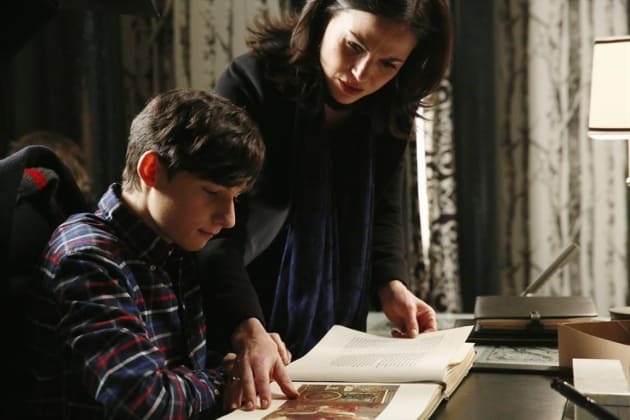 Thankfully, Regina has Henry to help her in her hunt for the author of the book. Or she could be helping him with his homework. We hardly ever see Henry in school.